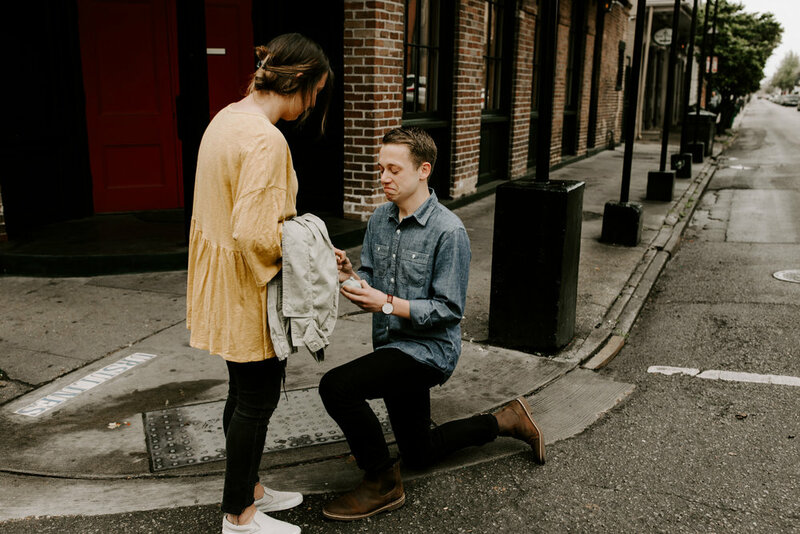 Surprise proposals are such a fun part of my job and I always get butterflies when an inquiry for one hits my inbox. 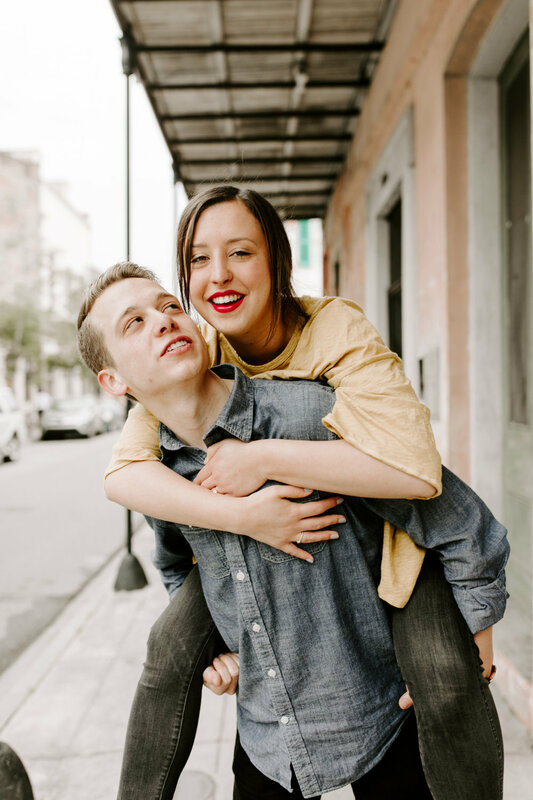 Will contacted me two months prior to a trip to New Orleans with his girlfriend(now fiancé) in order to orchestrate his French Quarter proposal and it had me on pins and needles with anticipation for weeks. 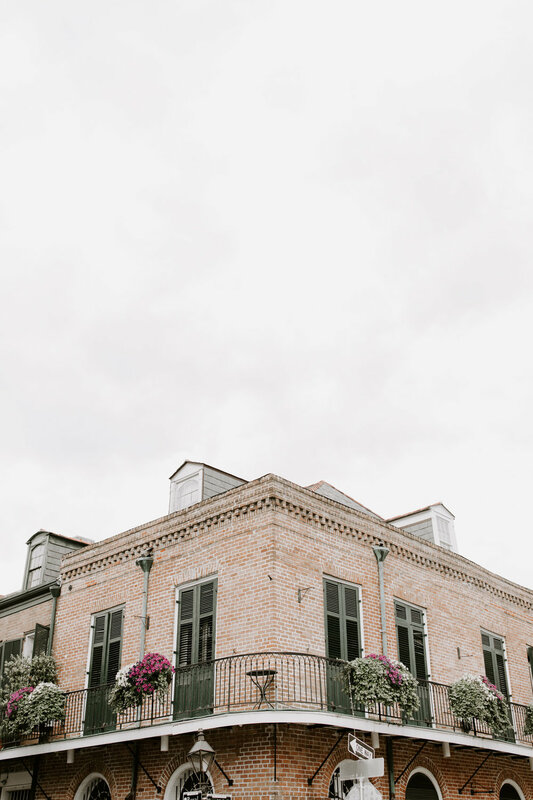 I could tell immediately how much he cared for Macy by the amount of meticulous planning he was willing to go through to ensure everything went perfectly from scouting the perfect location via Google Maps and texting me up until a few minutes before the moment to make sure we were on the same page. Y'all, that's dedication. Of course, it all went off without a hitch and as I pretended to be an art student taking portraits of tourists, he got on one knee and did his thing. BUTTERFLIES. The awesome part of photographing proposals is that afterwards, I'm able to officially meet the couple(who are rad AF, btw) and we celebrate their new engagement with an impromptu portrait session. The love and joy comes in waves and it's so fun capturing that once in a lifetime energy. 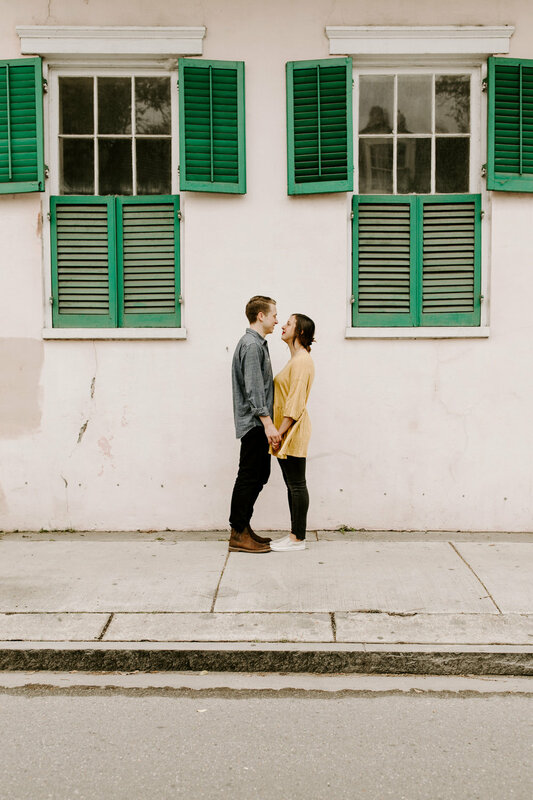 We run the streets, take portraits, and they get to bathe in that newly engaged glow. Win Win Win.